“Transformation Mastery” by Julien Blanc is a program and guide for achieving personal transformation by breaking through inner blocks and unleashing the power of the subconscious mind. This program focuses on achieving authentic, long-lasting personal transformation by showing you how to go deep inside your subconscious mind to change from a paradigm of scarcity to a life of abundance. It includes a breakdown of concepts with live transformational infield footage. Transformation Mastery is a result of Julien Blanc’s own personal transformation and self-development journey. The program is designed to make you feel happy and healthy, improve your love life, and success. It aims to help you eliminate self-doubt and achieve a permanent transformation from within. Get to the cause of your reality and experience multiple epiphanies. Identify your inner doubt and pinpoint barriers preventing you from doing and getting what you want. Tune in to true abundance, connecting to your body and emotions, and free yourself from scarcity. Bring realistic awareness to the paradigm you are in, and face it. Overcome fear, anxiety, anger, guilt, terror, chaos, frustration, vexation, and break free of scarcity. Stop walking blindly through life and take action to improve it. How to achieve your real goal in life with an understanding of how coming from abundance affects you and all aspects of your life. Remove yourself from “what if…” and “when if…” conditioning. Establish a new default state of being that focuses on happiness and fulfillment. Eliminate the superficial social conditioning imposed on your dreams. Embrace the new journey of removing the pain/pleasure cycle, and the need to always have more. Stop optimizing the paradigm of scarcity. Learn to release yourself from ego, needs, attachments, and social conditioning. Realize becoming your true self has nothing to do with endlessly collecting more information, knowledge, and stuff. Find out the highs and lows of Julien’s story. See how far the paradigm of optimization will get you. Stop making excuses in order to achieve a new paradigm of abundance. How to fully commit to this new paradigm, eliminating resistance and social conditioning. Break free of scarcity, and your limiting ego. Understand the three steps to letting go and break free from a state of anxiety, misery, and not getting anywhere. Let go of the false assumption of scarcity and establish long-term internal transformation through self-discovery. Develop a sense of clarity and freedom. Turn your progress into permanent improvements and anchor them into your new-found reality. How the subconscious mind is responsible for what you do, how it works, how to decode it, and harnessing its power to guide your life. Decompress the ingrained clutter and develop inner peace. This is a 3-step process for letting go of the subconscious. Reinforcement of Transformation Mastery content, with a powerful guided subconscious release. Let go of negative beliefs and tap into happiness. Guided morning and evening releases into your subconscious in order for you to center yourself. 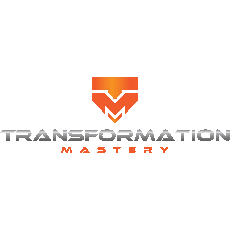 For the first 3 months of Transformation Mastery, access Julien’s exclusive book club series presented in Q&A format. 1-on-1 Skype coaching with Julien. Available only for those going through the entire program. A private, exclusive group where members can share their transformation(s), and take part in group-only content. NOTE: This Table of Contents depends on the package option purchased. I noticed there are not many reviews for this important product out there when I was trying to find out what others thought after using it. I am not quite sure why that is because this product has gotten a lot of coverage. Anyways,I am gonna go right into what I think, and what I have gotten out of it so far. First off what I like about it is the simplicity of use. And I think that one of the factors why it is effective. This program is built on works of Dr. David Hawkins who wrote "power vs force" and "letting go". It might be also based on other works as well, but that's all I personally know. This program takes you through series of inner exploration. You are pretty much your own guru. I think this is another important part of this program that I like. I have seen a couple reviews that people said such and such person's program is more complete and whatnot. I personally think this is a perfect size program. If it was much longer or comprehensive I probably wouldn't have time for it. I am not fully done with it yet. However I feel I have gotten enough out of it, and it has been really helpful.